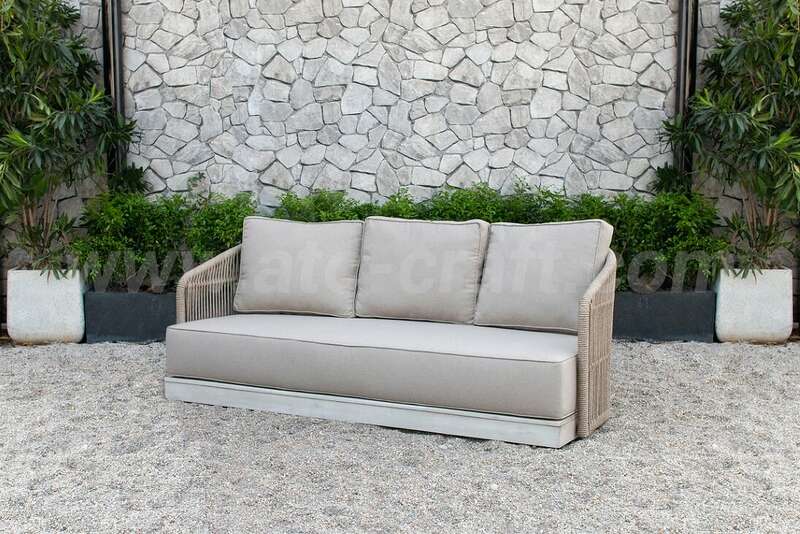 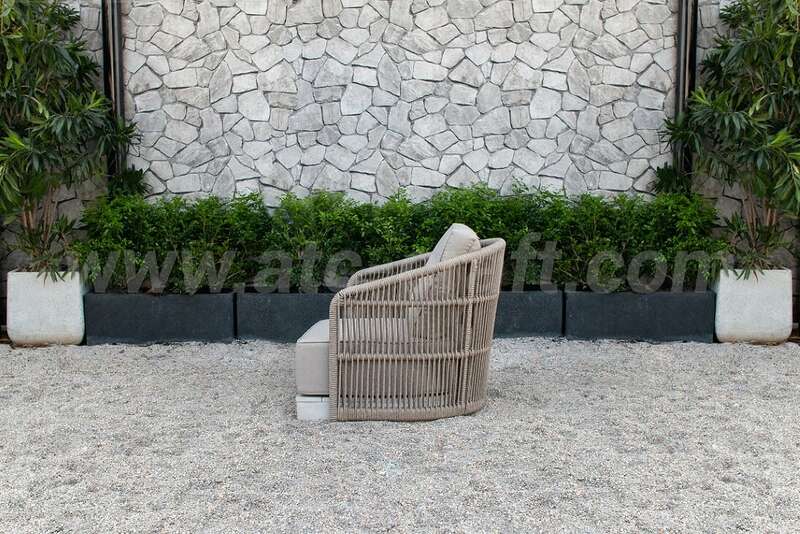 With a simple design this “Minimalist Japanese Style Outdoor Sofa Set Rasf-184” still exuded it modern looking. 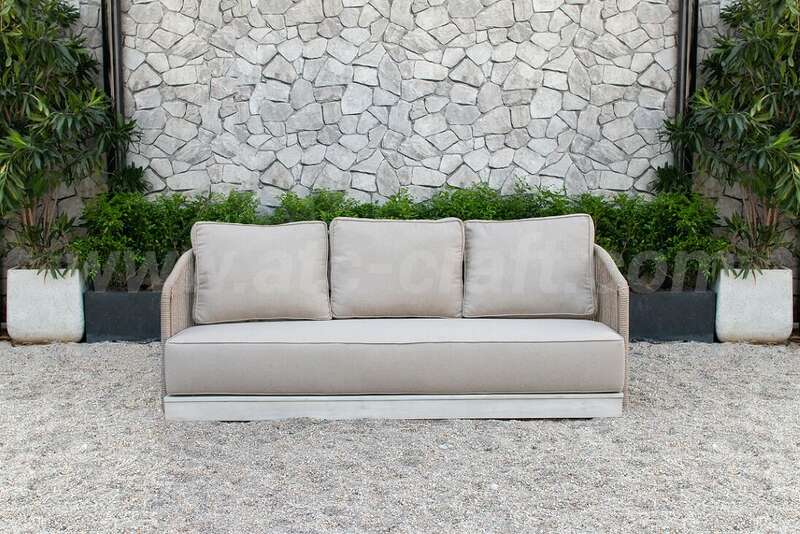 These legless deep seating sofas are inspired by the traditional Japanese chair called “Zaisu” but with a little bit of European twist to it, making you sit close to the ground and lean back ideally for enjoying a nice day out in the open with friends or family and feel close to nature at the same time. 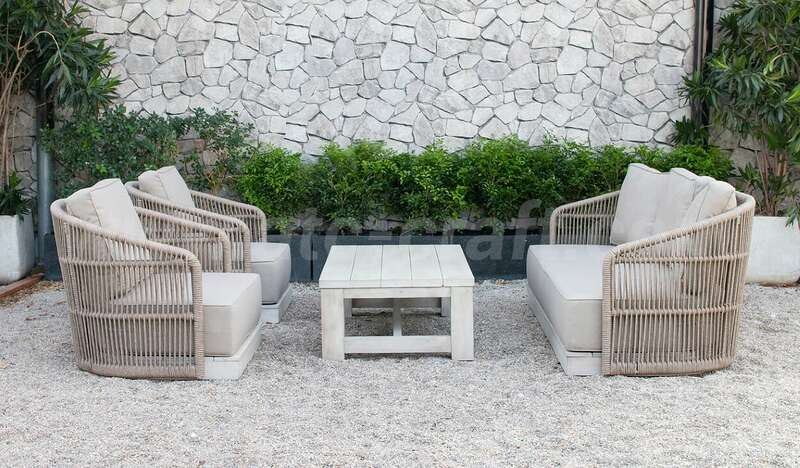 The poly Wicker vertical pattern and wrap around style gave it a firm feeling, furthermore, this White Grey Outdoor Piping Rope Sofa set is especially equipped with 20cm thick seat cushion to deliver the optimum relaxation, particularly on sandy beaches where beautiful landscape of the ocean is easier to be admired. 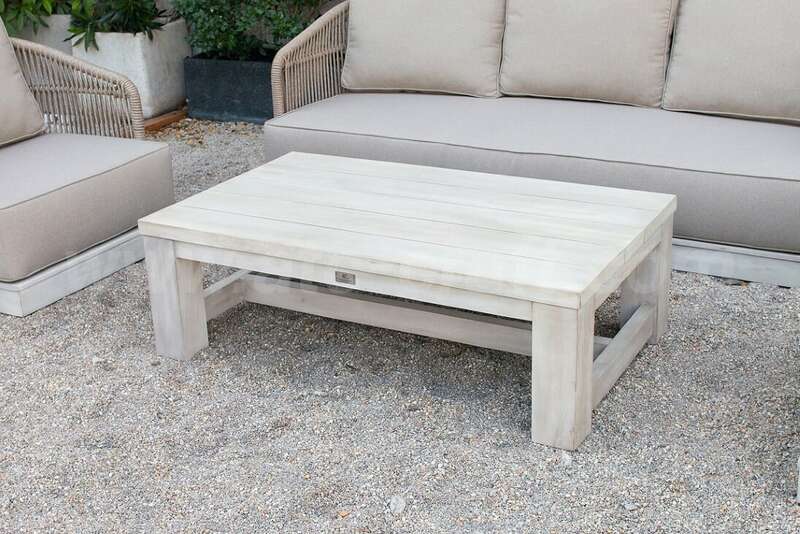 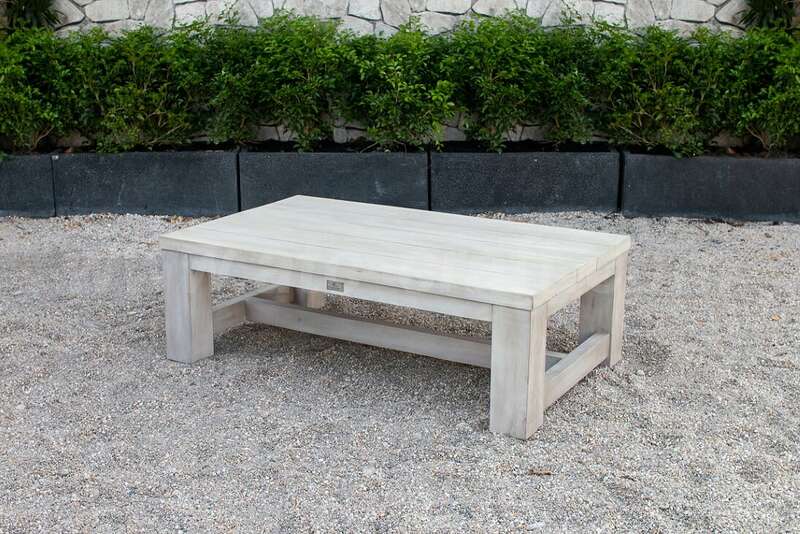 Additionally, the table and the sofas base platform is made from specialized acacia wood with high life expectancy. 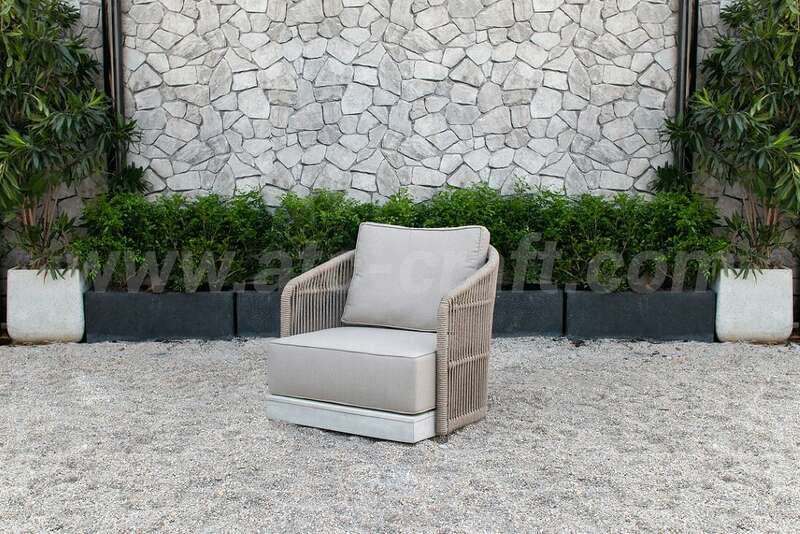 The seat and back cushions are covered in fabric that is designed to withstand against direct UV ray from sunlight, water resistant ability so any spill drink or wet from rainy day can be cleaned off with no difficulty, enhancing the whole set durability in harsh environment so that it can always be ready for your needs. 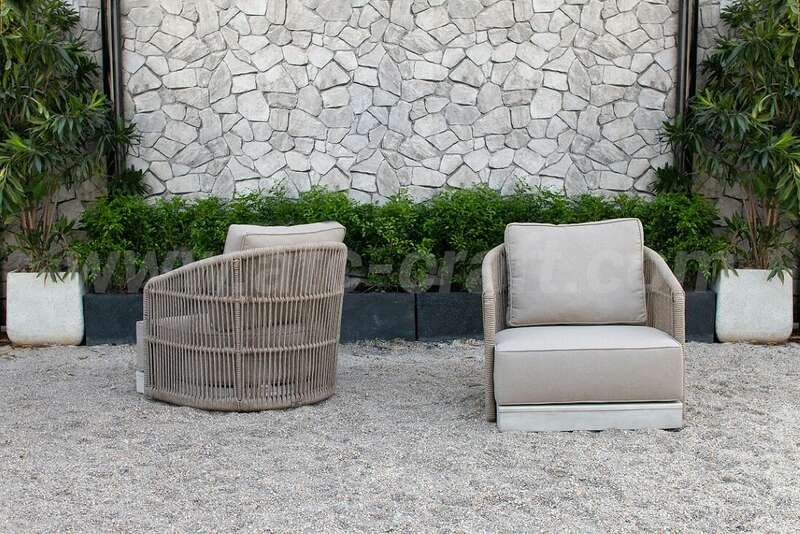 •Pieces included: 2 single sofas, 1 Triple sofa, 1 Wooden table, Matched Seat Cushions and Back Cushions, 1 Décor pillow. 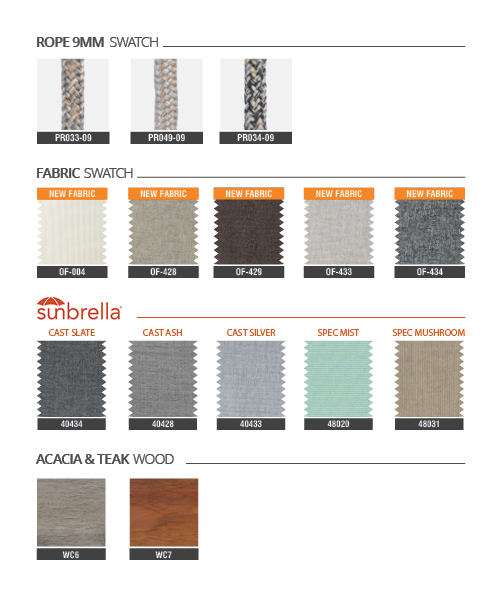 •Durability: Water Resistant, UV Sunlight protection, All-Weather adaptation.